In this post, I will explain to you what is MySQL? and How it works? MySQL is a free open source relational database management system. It is widely used nowadays all over the world alternate to SQL. MySQL is the modernized way to add, delete, and modify information in the database. The MySQL software uses GNU General Public License(GPL) to define, what you can or cannot do with this software in certain situations. Then if you feel comfortable with MySQL or wish to embed MySQL code in your application, you can purchase a commercially licensed version. It is able to run in multiple platforms like Windows, UNIX, Linux. Since it is a relational database, the data and information are stored in several tables that contain rows and columns. MySQL is generally used with PHP where PHP is a scripting language. MySQL server works in a client/server model or embedded systems. It consists of a multi-threaded SQL server that supports different backends, several different client program and libraries, administrative tools, and a wide range of Application Programming Interfaces(APIs). It can also provide an embedded multi-threaded library that you can link in your application to get a faster, smaller, and easy to manage standalone products. MySQL is the most flexible, reliable, secure and stable SQL based database management system. This database is suitable for a wide range of cases such as for dynamic websites, mission-critical apps, embedded database for software, hardware, and appliances. 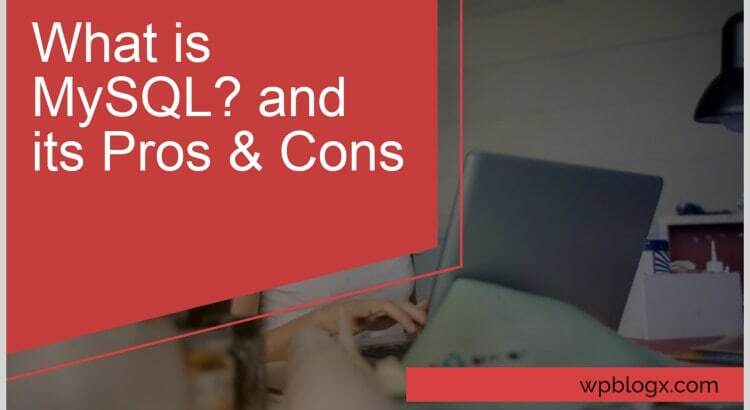 MySQL supports most leading programming languages such as PHP, Perl, Python, Java, Node.js, .Net, Ruby, Erlang, Tcl, C/C++, ODBC, and Objective-C. It uses SQL to query the database. It is used in combination with the PHP and Apache web server. MySQL has an integrated tool called MySQL workbench to design and develop the databases. The MySQL and SQL are not the same. MySQL is one of the most popular RDBMS which implements the client-server model. MySQL will create a database for storing and manipulating data, defining the relationship of each table. Then the clients can make a request by typing specific SQL statements on the MySQL. At last the server application will respond to the requested information and it will appear on the client’s side. Some of the most famous websites that use MySQL are Google, Facebook, Wikipedia, Flickr, YouTube etc. Many Content Management Systems(CMS) like WordPress, Joomla, PhpBB, Drupal etc uses MySQL. Many web developers are using MySQL worldwide to develop their web applications. In windows, you can set up MySQL by downloading it from the official MySQL page or install anyone of this software WAMP, LAMP or XAMPP you system will get MySQL. Anyone before using MySQL it is very important to know how to establish the connections to MySQL with PHP. once you have installed MySQL and PHP in your system, you can use the hostname as localhost and nothing to specify in the password. There is a function called MySQLi_connect() to connect to the MySQL. This function usually takes four arguments such as hostname, username, password, and the database name. If the MySQL and PHP are on the same system, you can use the address as localhost, and the password as none. But if the MySQL is running on a different location, then you need to insert the IP address or URL in the place of localhost. MySQL is widely used all over the world for storing and retrieving their content. Hope you got an idea about what is MySQL? If you have any queries or suggestions please feel free to comment to us. You can subscribe to us at Facebook and Twitter. what is enqueue in WordPress? How to Setup CloudFlare Free For WordPress CMS? What is Err_Connection_Timed_Out error and How to Troubleshoot this Error?